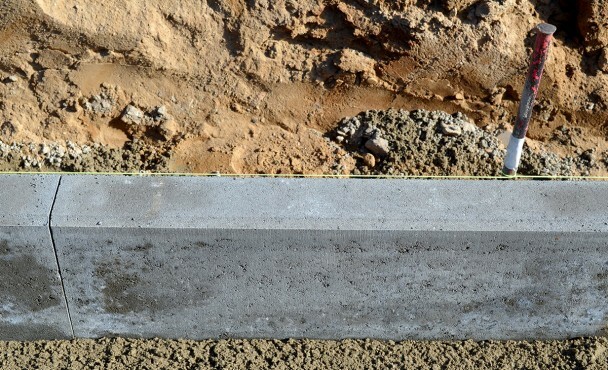 We’ve all heard of the saying ‘lay the groundworks’, implying the importance of ensuring that the foundations of a building are done correctly for the benefit of the rest of the build. With Andy’s three decades of experience bolstered by the skills of the Staffordshire Brickies team, they know exactly what groundworking is necessary to ensure that a build is safe, secure and cost effective. It can be near impossible to find a trustworthy contractor to complete your groundworking without being charged extortionate prices. This is why Andy prides himself in being a reliable hard worker who always charges fairly for the services he delivers. Andy’s team have an excellent track record with past customers, who more often than not return to hire him again for other jobs. Whether the groundworking is for a house, extension, garage, conservatory or outbuilding, Andy has the skill, equipment and expertise necessary to complete the job to an excellent standard. With his own selection of in-house vehicles, including lorries and excavators, the Staffordshire Brickies team is able to handle almost any groundworking challenge. Groundworking is an essential part of building that cannot be overlooked. It ensures that the structure of the building is safe and secure with foundations, and therefore reduces any future costs that could otherwise occur. If you need some groundworking in Staffordshire, contact Andy for a quote or to ask any general queries you may have. Andy his team are also particularly experienced in the specialist skill of raft foundations, something that’s often necessary when the soil or ground has a low bearing capacity and requires extra support to ensure that the build is secure. If the build you are planning is going to be located on soil unsuitable for normal groundworking, it’s not a problem – Andy is highly experienced in raft foundations and will be more than happy to solve your problems this way. If you need some groundworking in Staffordshire, contact Andy here for a dependable, hard working professional who will leave you happy with the end result. He’ll be happy to answer any queries you may have and provide you with a quote. As you can see from the map above, Andy and his team are situated in Silverdale, offering groundworking services to the entire of Staffordshire and all areas within it. If you’re looking for groundworking in Fenton, Hanley, Newcastle-under-Lyme, Longton, Hanford or any other location in or around Staffordshire, don’t hesitate to get in touch with Andy – he and his team are the best men for the job!